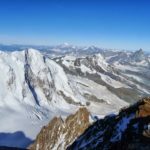 An amazing summer expedition from Zermatt to the Dufourspitze, across the worldwide famous Haute Route. Martin, an IFMGA mountain guide will lead this program during 6 unforgettable days. Let me invite you to an amazing summer mountaineering expedition, starting and ending the circuit in the beautiful locality of Zermatt. We will conquer part of the Haute Route, an international alpine route through the Pennine Alps, which starts in Chamonix in France and reaches our destination in Zermatt, Switzerland. 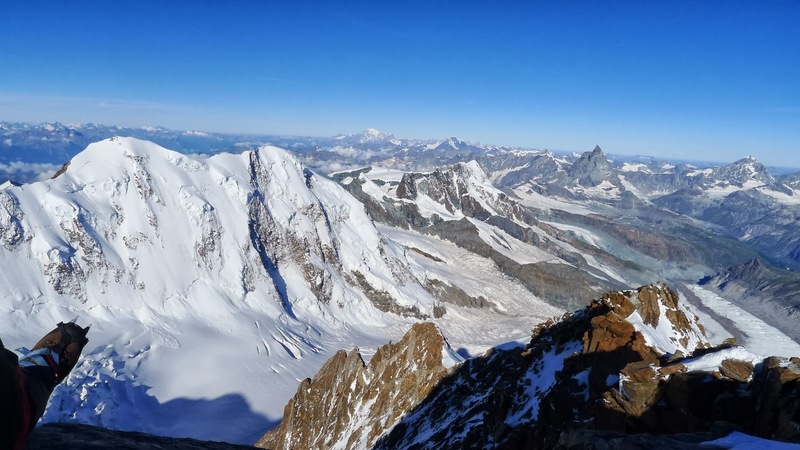 Besides that, during this 6-day expedition in the Haute Route I will lead you to numerous summits of 4000 meters in the apotheosis known as the “Spaghetti Tour”. As for the itinerary, let me share with you this sample program. Of course it can be adapted to your level and expectations. Zermatt and cable way to Klein Matterhorn-Breithorn (4123m). Then, overnight stay at the Val D, Ayas Hut (3400m). From the hut to Castor (4200m) and then, to Quintino Sella mountain hut (3400m). We will move to Naso de Liskamm (4100m). Overnight stay at the Gnifetti hut (3600m). Piramide Vincent (4125m), then the Parrotspitze (4400m) and finally, Capanna Marguerita (4500m). From Capanna Margherita to the Dufourspitze (4636m). We’ll spend the night at the Monte Rosa hut (2880m). Back to the Rotenboden Train Station, to travel from Gonergratt to Zermatt. End of the program. This mountaineering trip runs during the month of July. So if you’re coming to Zermatt this summer, contact me now! Let’s plan this amazing Haute Route expedition together. Not included in the price: accommodation, meals, cable cars and guide's expenses (around 1000€). Although I was born near the sea, I started very young to enjoy the nearby mountains. To share and trasnmitir everything the mountain had given me. 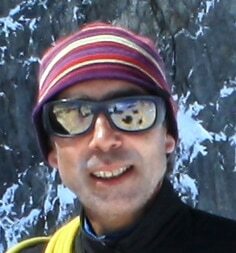 Traveling all over the world,mountaineering, climbing and skiing. Since 2000 I lead my own clients around the world as a freelancer Mountain Guide. I’ love showing the Pyrenees to all peolple who likes mountaing:all the year. In Winter,ski touring is my especiality, but in summer, rock climbing in Pyrenees is amazing! I would like to guide you till de top of Mont Blanc, Matterhorn (Alps),Monte Perdido and Aneto (Pyrenees), Naranjo de Bulnes (Picos de Europa) and other mountains. had a lot of snow. Martin is a professional and social guide. He makes sure that the trip takes place from a pleasant and secure way. Due to the weather conditions we couldn’t do the climb to the Montardo and to the Ratera, but Martin organized some alternatives to enjoy the 4 days. We were an international group and could communicate with Martin in English.